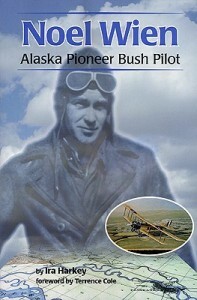 Today we will talk about the “Father of Alaska Bush Flying” and the airline he created. 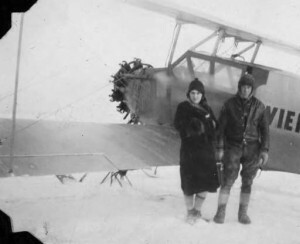 I am talking about Noel Wien who not only set the standard for bush pilots but also made commercial aviation in Alaska what it is today. Also, at the end of today’s blog I have a video detailing Noel Wiens induction in to the Aviation Hall of Fame, and a number of photos, for you to view. 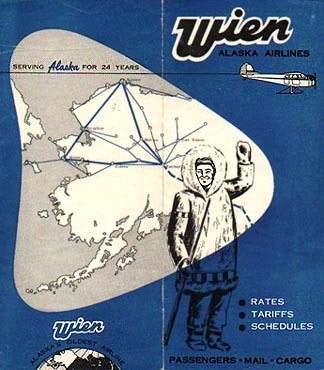 Now, let’s talk about Noel Wien and Wien Alaska Airlines……………. 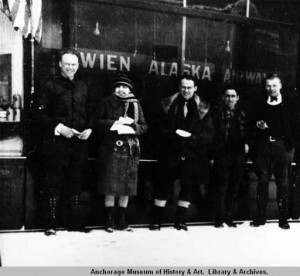 Noel Wien first came to Alaska in 1924 and immediately saw opportunity. 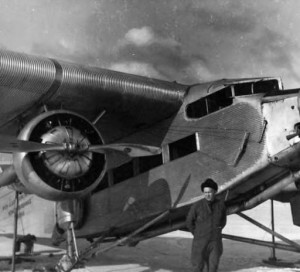 He spent the first few weeks barnstorming, and then set his sights on connecting the 600,000 square miles of Alaska with a viable air transportation system. Most people find it illogical to use bush flying and viable air transportation in the same sentence but if you know your history, and read Robert Novells’ “Third Dimension Blog,” then you know that the “Air Mail Service Pilots” were the bush pilots of the lower forty-eight states and it was this group of Aviators that paved the way for commercial carriers like United, American, Eastern, and others. So, now that we understand the importance of bush pilots let’s talk more about Noel Wien’s accomplishments. 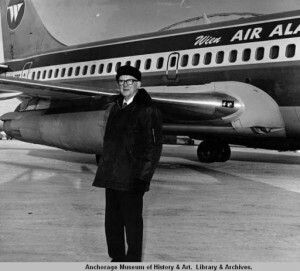 Noel Wien was known as the “Father of Alaska Bush Flying,” The Arctic Ace,” and the “Lindy of the North.” What was it that this man brought to Alaska that brought him such accolades? The same that Charles Lindbergh, Amelia Earhart, Wiley Post, and others brought to the table—-courage, skill, and the willingness to put their talent, and lives, on the line to prove that aviation was the way to the future. Well, the future is here and Aviation has connected the world, and its people, in a way that was never imagined by the early Aviators. 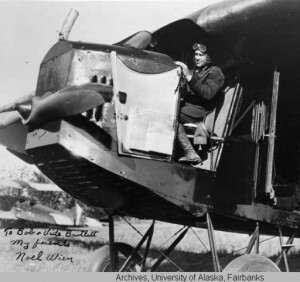 Noel Wien was the first person to fly from Fairbanks to Nome, the first to fly beyond the Arctic Circle, the first to fly across the Bering Strait, the first to fly from Fairbanks to Seattle, and last, but not least, the first to fly round trip between Alaska and Asia. Some might say that Noel Wien’s accomplishments were not that spectacular but for those who would say that I suspect they are slaves to GPS and a Flight Management System coupled to the autopilot. It is hard for me to imagine flying around Alaska, and the Arctic North, using time and distance based on a ground speed that was calculated on an unknown wind aloft and flying a heading based on a crude topographical map that was normally nothing more than a hand drawn sketch. Skill was important but I think luck was an essential part of the equation; however, I am certain that most of us don’t want to be confronted with the challenges that Noel Wien, and other earlier Aviators, faced so from all of us who have benefited from your talent—- thank you sir for paving the way. I suspect that your induction in to the “National Aviation Hall of Fame” shows that your contributions to aviation are unquestionable and your place as an aviation pioneer is secure alongside Lindy, Amelia, Wiley and others. Now, who better to give us the facts on Noel Wien, and his airline, than Noel Wien so I have four videos below that will give you a firsthand account of Mr. Wien’s accomplishments. This four part series was produced by the University of Alaska at Fairbanks and will take about thirty minutes of your time. For a fact sheet on Noel Wien please follow this link, FACTS. Thanks for stopping by, enjoy the video, and photos, below, have a good weekend,and take care; however, the most important thing for you, and I, is to keep family and friends close….life is short.